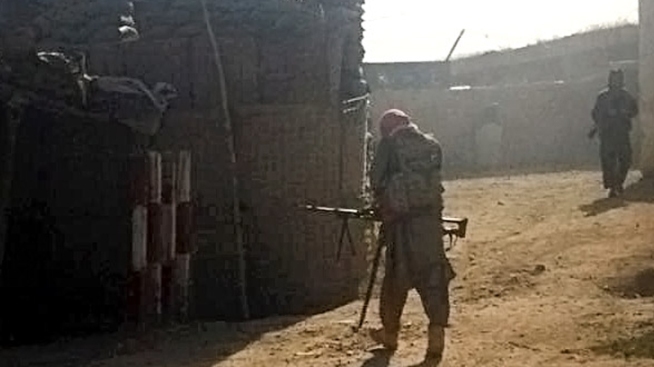 Taliban fighters take their positions after occupying a police station for several hours, in Kunduz city, north of Kabul, Afghanistan, Monday, Sept. 28, 2015. America’s efforts to rebuild a stable Afghanistan could be headed for failure, according to a report released on Friday. According to the quarterly report by the Special Inspector General for Afghanistan Reconstruction, the U.S. has spent more than $113 billion on reconstruction and will require troops to stay longer than President Obama expected, NBC News reported. The report says the country’s economy is weakening and there are allegations of fraud surrounding the effort to get more girls into the classroom. The Taliban controls more territory now compared to the time American troops invaded in 2001. Nearly 30 percent of the country is controlled by the Taliban, according to the military's figures.